Clicking on the picture should make it much bigger and you will be able to read what has been written. 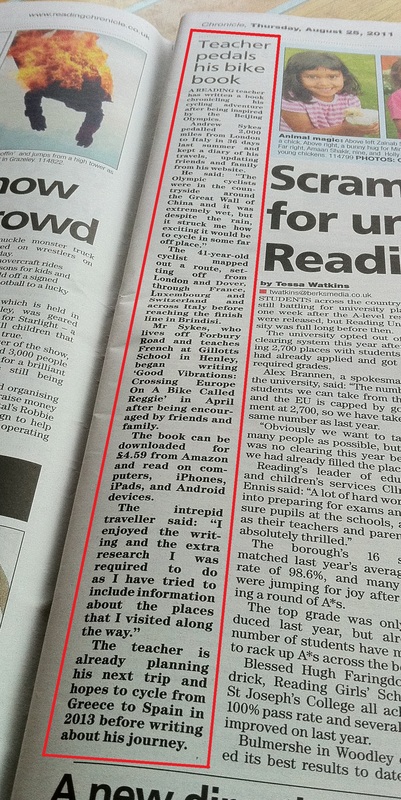 You probably won’t need to do that to read the headline: ‘Teacher pedals his bike book‘. It took me four hours before I read that in the way intended! As they say, there is no such thing as bad publicity… I’ll wait to see if it has any impact upon my sales. Haven’t purchased it yet? Then click here!